Found 2 file extension associations related to MechWarrior and 2 file formats developed specifically for use with MechWarrior. 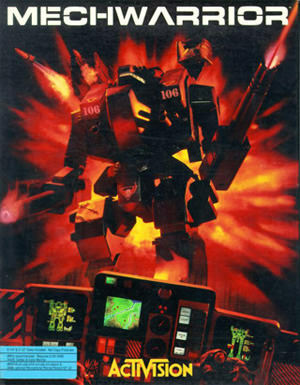 MechWarrior is the first in line BattleTech video game of the same name. MechWarrior was the first video game to offer the player a chance to pretend to pilot a BattleMech from the view of a pilot (a MechWarrior). With this game the player has a great deal of freedom when compared to many of the follow-up MechWarrior games, which include choosing missions, buying & selling 'Mechs and parts, hiring lance-mates, and traveling throughout the Inner Sphere. Underneath the major game mechanics, the player had the option of following a role playing style story arc that would unfold over a five year (game time) period. The MechWarrior software seems to be old or discontinued. If you need more information please contact the developers of MechWarrior (Activision), or check out their product website.